In much of the country, snow will soon be on the ground...for a while. That's bad news for golfers as the golf ball doesn't do so well with snow. However, a soccer ball glides quite nicely on the fluffy stuff. And what does that have to do with anything, you ask? Well, the soccer ball's ability to skid in the snow makes FootGolf a fun, wintry alternative to golf. Check out how FootGolf in the snow is played in Argentina, which is now enjoying its summer season. We might not play in knickers, but it looks like a lot of fun. And there's the added bonus of bringing a sled to get around a course's great hills! 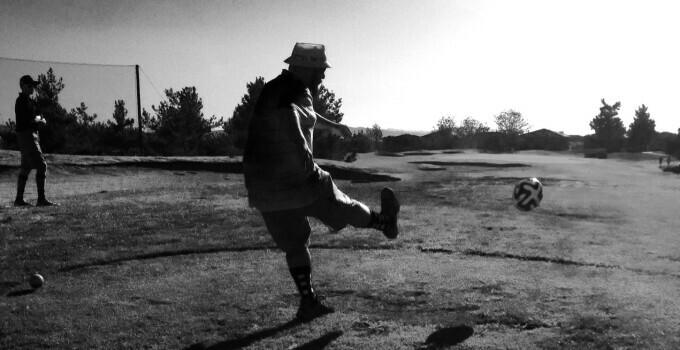 Post by Esto es footgolf LADO B.